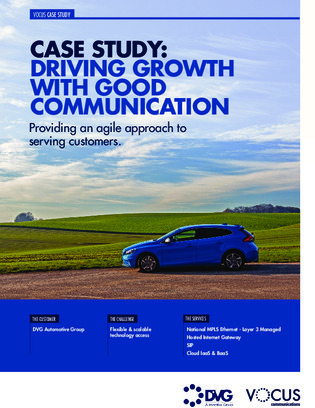 Automotive group DVG was outgrowing its existing fiber network and telephony systems, and needed to upgrade. DVG turned to Vocus Communications, who provided a new phone and messaging system and fiber network—resulting in major improvements in capacity and speed over their previous provider, and a substantially reduced cost. Download this case study to learn more about DVG’s switch, and how it’s helped them.